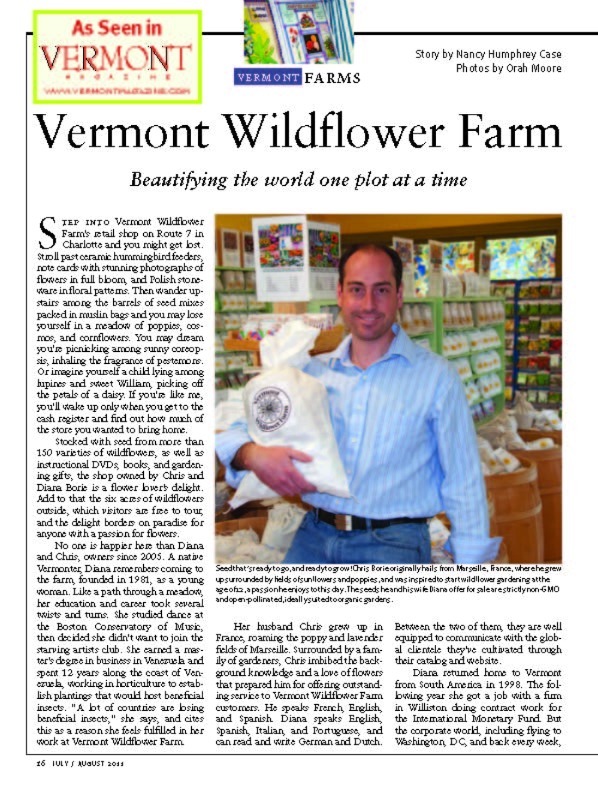 Vermont Wildflower Farm is proud to be featured in the July/August issue of Vermont Magazine! 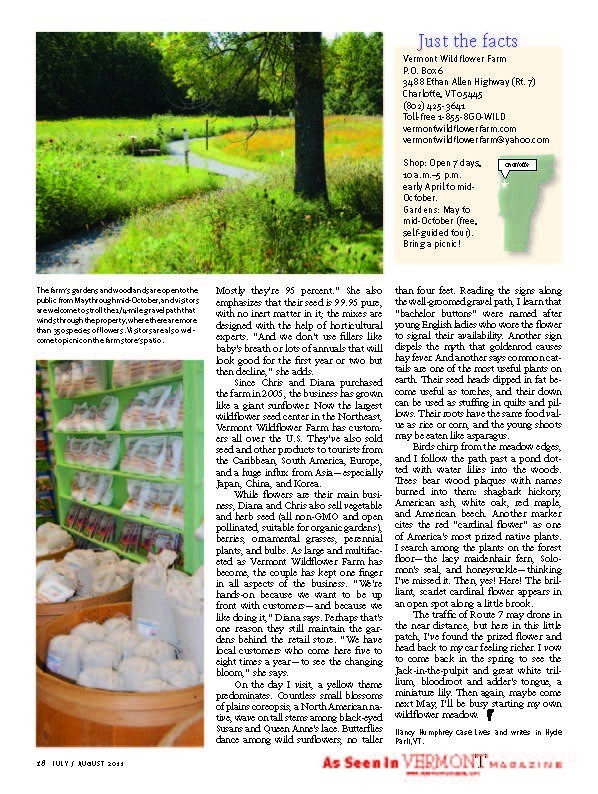 Read it here 'AS SEEN' in Vermont Magazine and learn a bit more about us, the farm and its owners! For a clearer version, these pages are available in PDF in the right hand column about half way down on this page! Read them in PDF for a clearer version!